The word “Trauma” is derived from the Greek term meaning “wound.” When targets encounter relationships with narcissists, what takes place is a human wound & trauma. When a person is wounded, there requires a time of healing; however scarring is often a result. During times of psychic trauma, our belief that we are invulnerable to harm becomes shattered. Our defense mechanisms break down and we suddenly can’t function the way we used to. We begin to feel inadequate for not having the ability to process the trauma in a short time. Subsequent emotional arousal can reawaken the narc abuse experience that we feel the emotions all over again and realize that there’s an ongoing attack on those defense mechanisms; we’re attacked both within and without. The trauma of narcissistic abuse collapses our worldview and assumptions about life in one full blow. Its a ‘Family Defender’ Campaign from Butterfly Dreams!!. Perhaps you’ll do me and your entire family circle a huge favor; maybe you will decide it is time to become your own ‘Family Defender’. You’ve heard me talk about things, and yes rant on about things for about four or five years now. Ha Ha, amazing my ‘friends’ have stuck around love ya’s for that!! Now I am asking you to make a decision, to stand up straight and tell your circle of family & friends, ‘I’ve learned so much from Trish’s ranting these past few years, I am telling you all that’s it, we cannot sit quiet about this any longer. Tell them there is way too much family wounding from what we know or suspect already. Hopefully you’ll check out the many hundreds of websites available for assistance and different forms of support. Please friends today is the day we are A NEW GENERATION IN CHARGE. Do not let the old teachings, which have brought us to the level of violence and disregard of human life that we live in today. We can do better than this. We are not stupid, or incapable; we are strong and if we do this together as a society finally willing to open the door to these dark realities, protect those just in our circle, we can begin to make a change together. This pledge does NOT COST YOU A PENNY, all I’m asking for is for you to think about how you would begin the change of mindset in your house of friends? Submit your thoughts along with your email info and that’s it, your done and then of course I hope you live in what you commit to change within your circle. ‘Its a Family Affair’ -Are we teaching our children to be Mentally Ill? 06/16 by Butterfly Dreams Abuse Recovery | Self Help Podcasts. Tonight we take a look inside the homes in our neighborhoods; with 1 in 5 suffering some form of Mental Health Issues, then what do we do about the children growing up inside these families? How will they be affected? It has been proven that we pass on the traits of PTSD, Depression, Anxiety, even Bipolar issues as our children watch and learn from their parents behaviors. What do we do with all of these wounded children who have become parents now and pass on to their children the behaviors of these diseases, if not the actual disease itself? 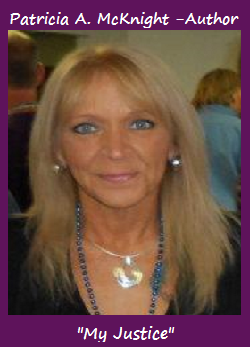 Join in with Trish beginning at 9pm eastern/ 8pm central/ 7pm mountain/ 6pm pacific time. Hopefully you’ll take part in the conversation and give her a call live at 347-214-7754 or connect in our chatroom with our very awesome Butterfly Helpers. We can learn ‘with’ our children how to let go of what past generations have taught us about the acts of abuse, violence, and/or trafficking; especially that which happens inside our family unit. We are hoping to spark new thought in your views about these types of behaviors and what affect it has on the family as a whole. 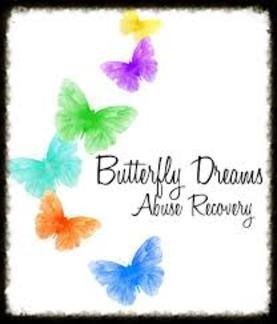 Butterfly Dreams Abuse Recovery is connecting hearts & holding hands of help around the world. New Hope, New Courage, New Conviction, New Truth! 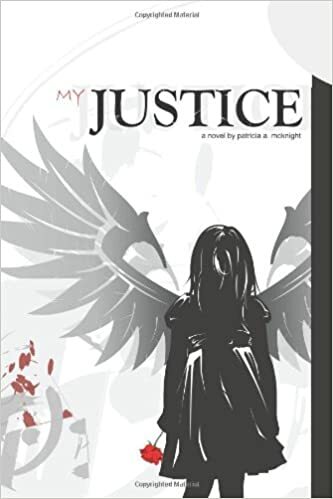 Our shows are made possible by your continued support & purchase of ‘My Justice‘, Trish’s own personal story of hell. Thank you.